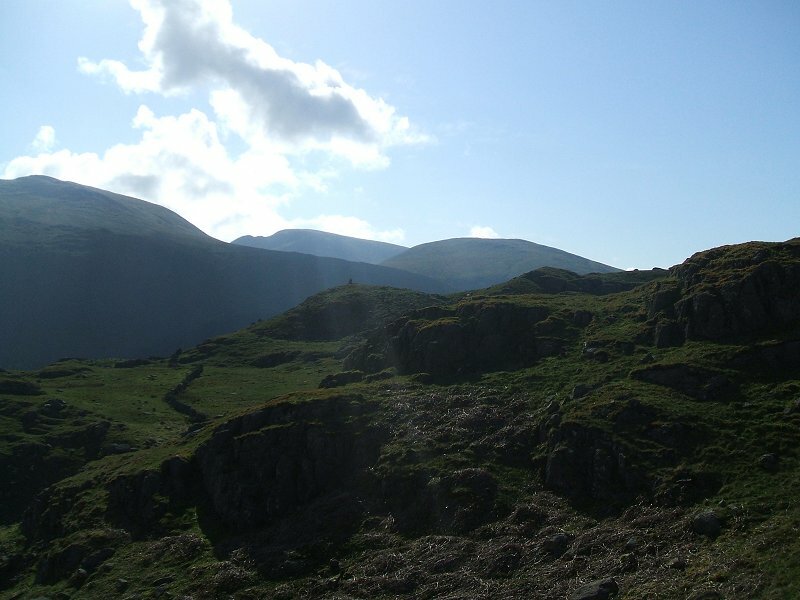 It was a lovely morning when I set out to walk the fells of the Central ridge. 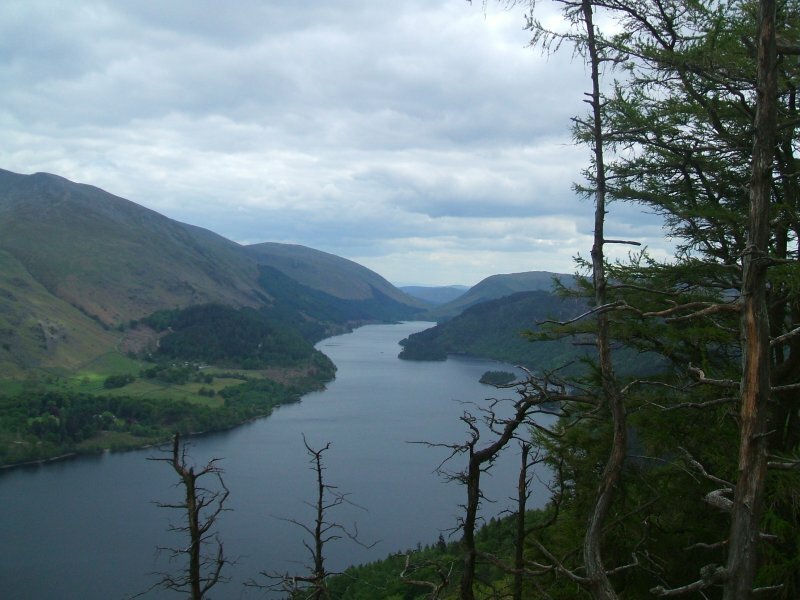 I parked at the Dobgill Bridge car park on the banks of Thirlmere and set of up through the woods to Harrop tarn. 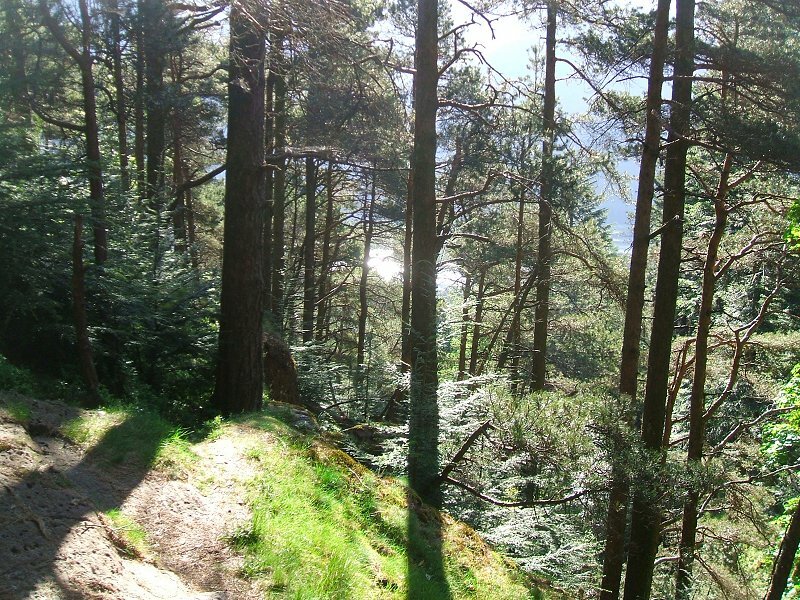 You can just see Thirlmere glistening in the sun through the trees. 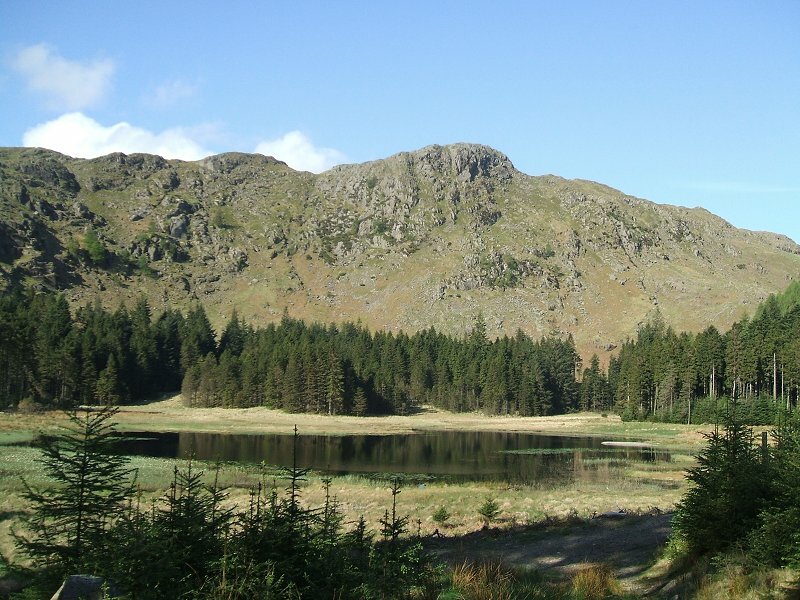 After a few minutes climbing you come to the idyllic Harrop tarn. 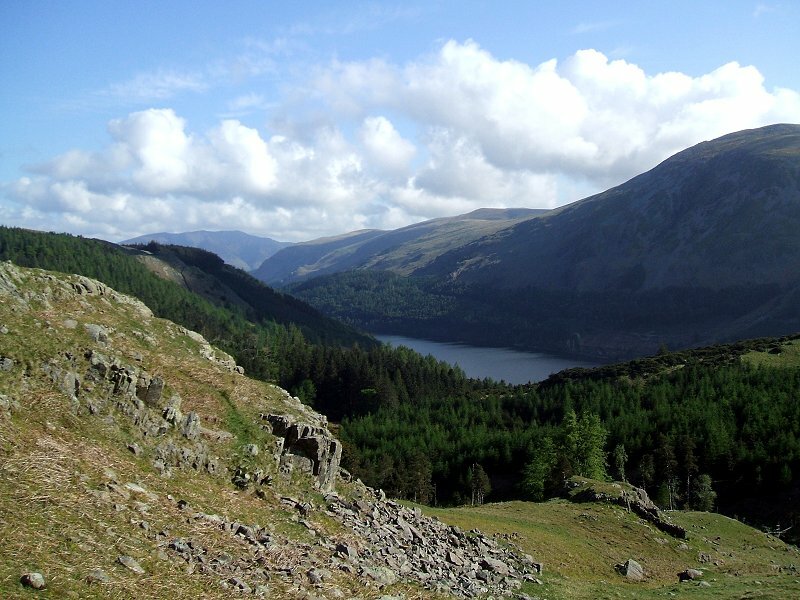 Thirlmere and the Helvellyn ridge is revealed as you climb higher. 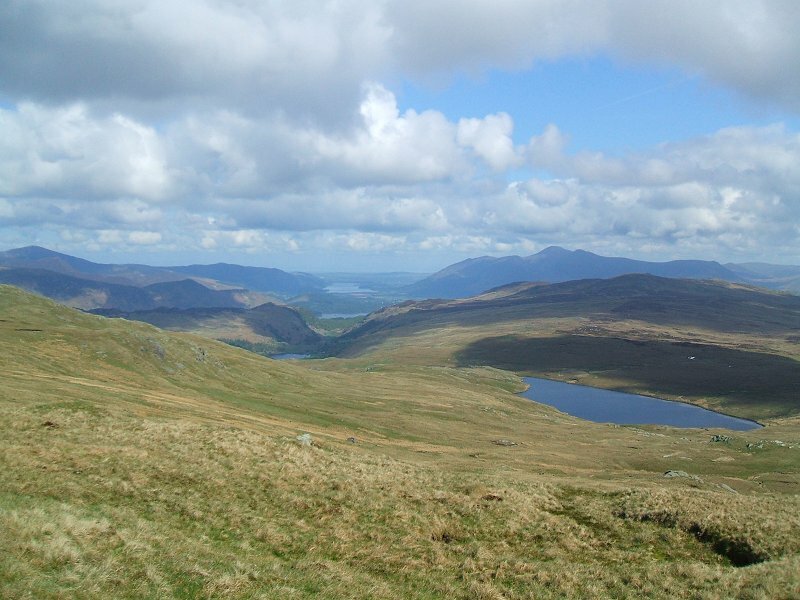 I took a pathless route roughly following Ullscarf gill up the fell. 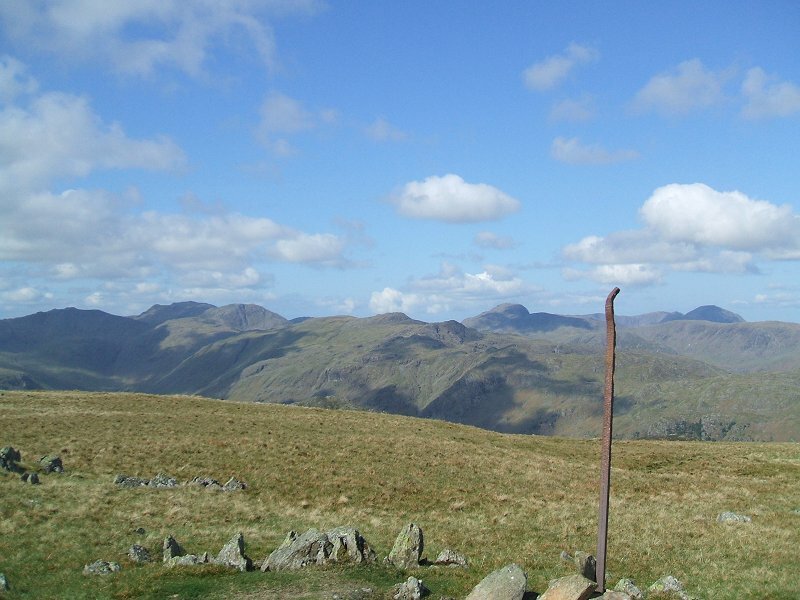 Looking southwards now to the Fairfield group. I think the cairn on the near horizon is the one marked beacon on the map but there is also another cairn marked so it might be this one. Walking along the ridge now and the views are still spectacular. 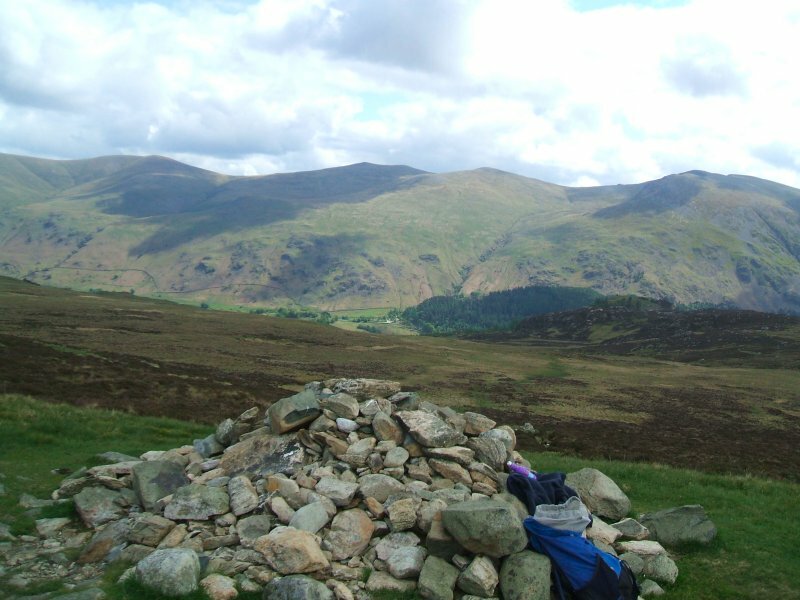 Armboth fell with Helvellyn behind. High Tove summit. I had done well so far as I had stayed relatively dry. But I knew the worst bogs were still to come. 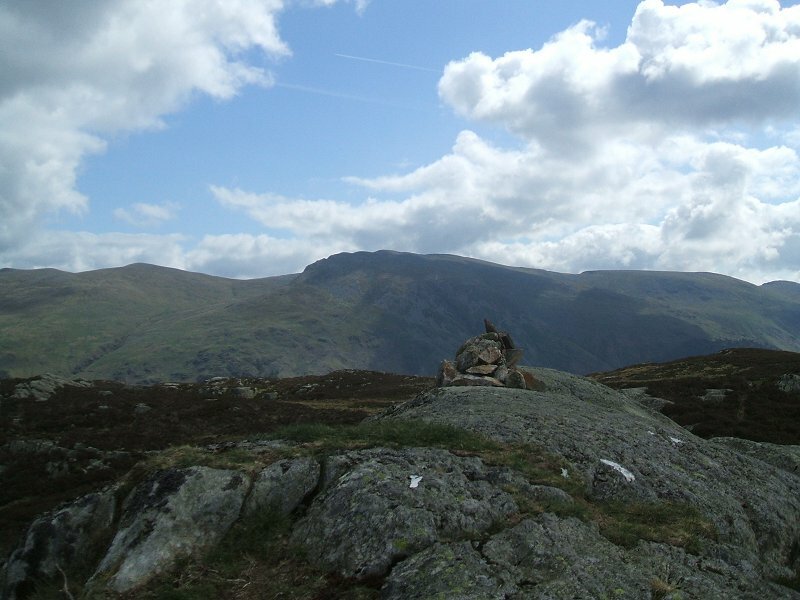 Looking north from High Seat's summit. The crossing of the Pewits had been quite messy and this was after a period of dry-ish weather. I would hate to have to cross them when it was wet. 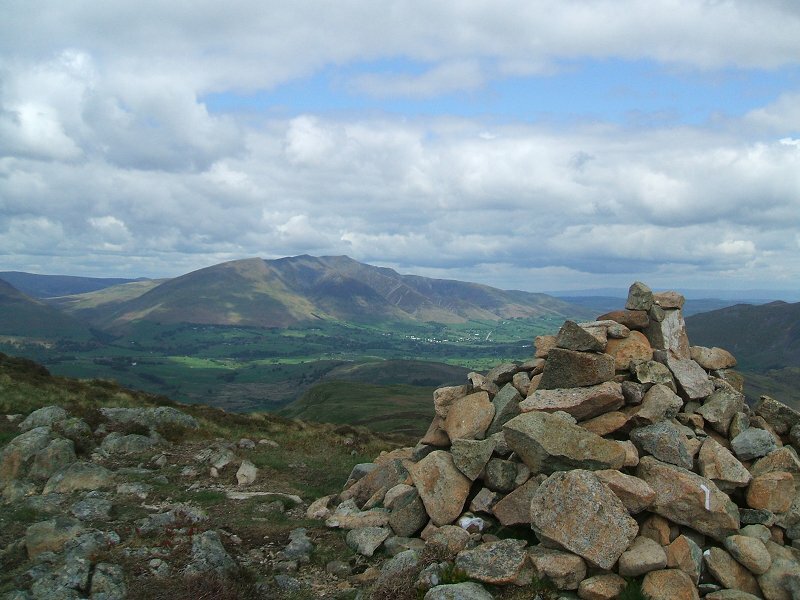 Blencathra from Bleaberry fell. 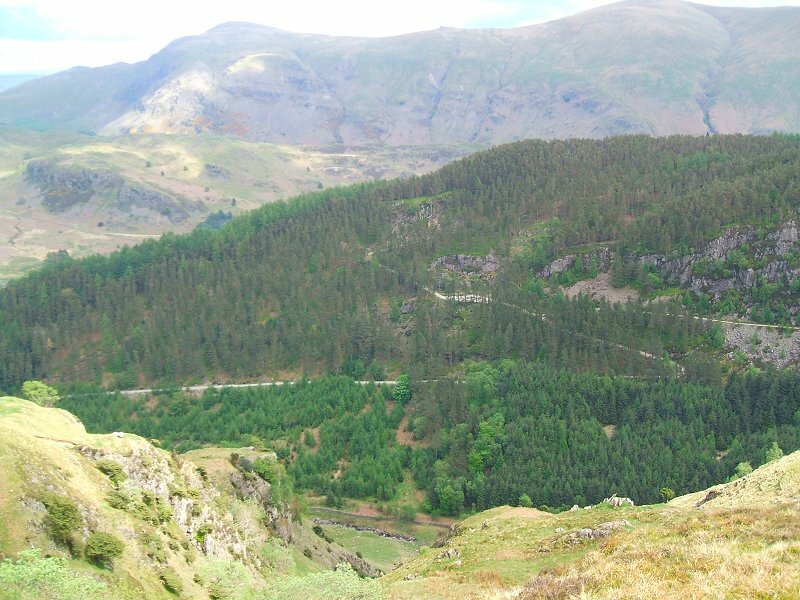 From here I turned eastwards and made for Iron Crag to see if there was a way down to Shoulthwaite. 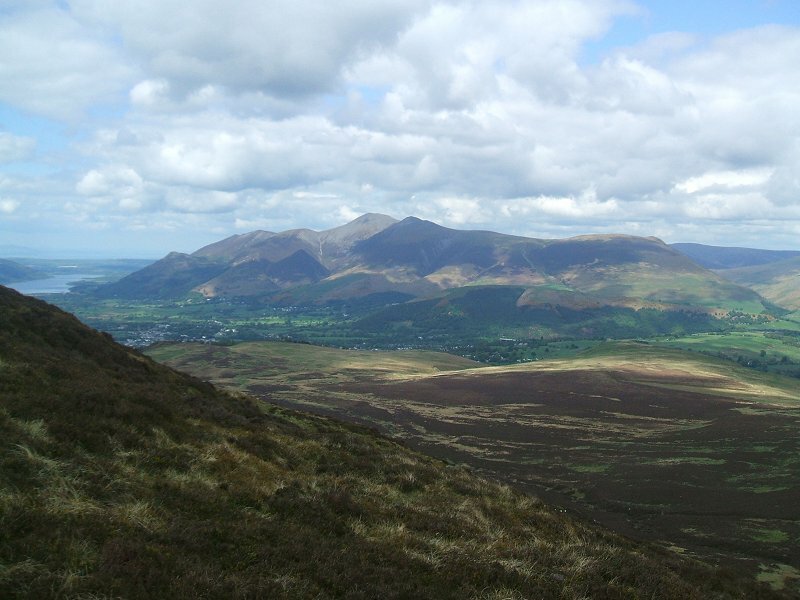 A nice view of Skiddaw from my route to Iron Crag. Looking down the un-named gill that gave me a way down to the valley. Unfortunately I had to then go straight back up through the trees until I reached the forest road leading to Raven Crag. 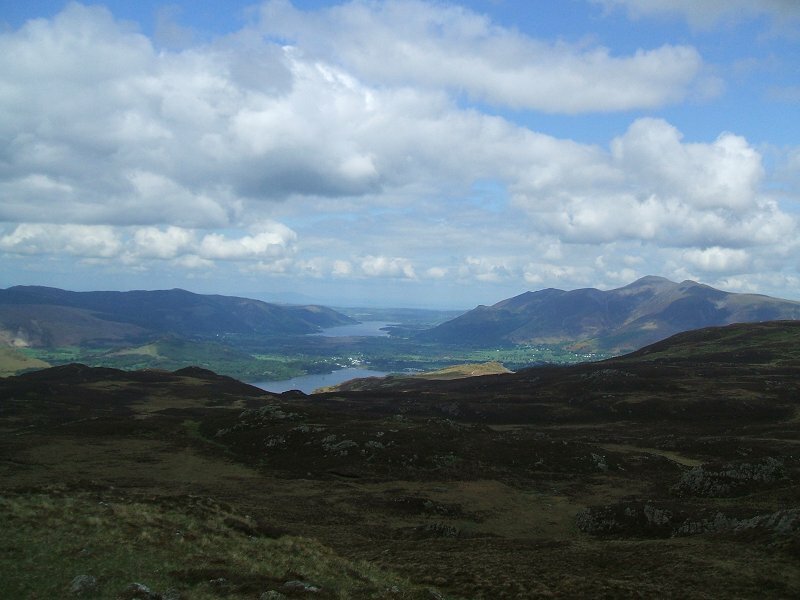 The classic view from raven Crag.